Private equity has proven it is on its way to becoming mainstream, by virtue of the increased emphasis on branding in the industry. As in any competitive domain, a strong brand is becoming a key asset for firms, which are piling on efforts to strengthen their visibility, legitimacy and influence within their own ecosystem. Entrenched major players have been working on this for a long time. 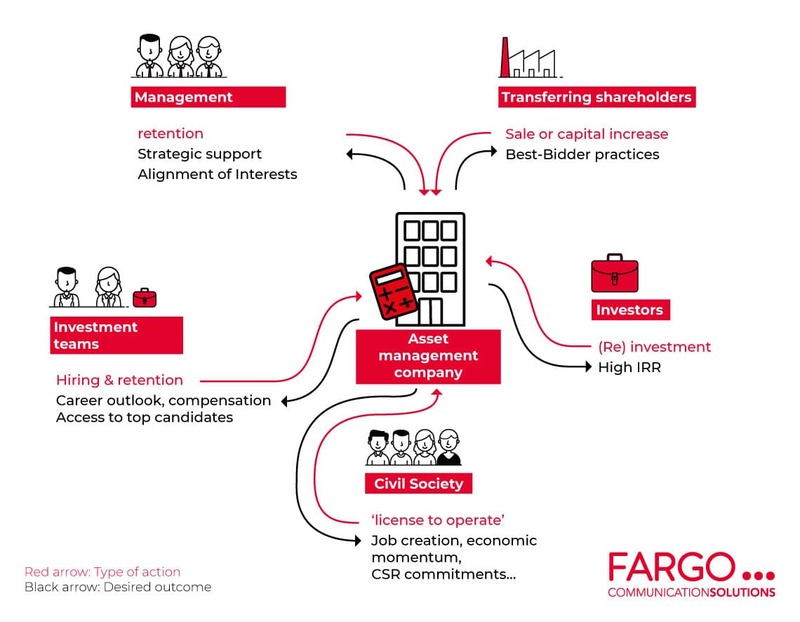 Then, of course, there are the activist funds, who wield their brand as a form of persuasion, a big stick of soft-power designed to influence the decisions of management, minority shareholders and administrators at target companies. Today, however, the entire industry of unlisted equities is hastening to catch up with them. What can possibly have happened in the formerly secretive world of private equity? For one thing, the proliferation of players and explosive growth of average fund size exacerbate competition for the attention of a limited pool of investors in an attempt to convince them to invest in the equity of a likewise limited number of target companies. For another, the sector’s growing maturity drives practices to coalesce around the same set of optimised models. Conversely, this tends to erode the unique aspects of each individual player. The result is a weakening in the balance of power between private equity firms and their ecosystem at the expense of the former, forcing them to prove their legitimacy and struggle against their own trivialisation and secure the loyalty of ever less closely bound stakeholders. Given this context, a strong brand is a necessary condition to anchor a firm’s development and ensure its long-term survival. But what exactly are the messages that branding strategies are supposed to convey? As the world becomes increasingly ‘commodified’, their communication efforts must constantly illustrate their capacity to create value beyond mere intermediation between offer and demand for long-term capital. Traditionally, they have done this by showcasing the quality of their teams, past achievements and cumulative experience in each area of their business: target selection, financial engineering, strategic support, networking… Yet these may no longer be central to winning and retaining clients. What private equity firms must also demonstrate is that they are capable of sharing the value they create fairly among an array of increasingly fickle and much-courted stakeholders. Such is the price to pay if their trust or loyalty is to be won. The problem is that these stakeholders are as different as the myriad promises that firms have to make. Of these heterogeneous parties, civil society is by no means the least important. Faced with a anti-capitalist cultural climate that is challenging for the financial sector generally, a media spotlight that can negatively impact delicate operations, and a mainstreaming of CSR concerns, private equity firms can scarcely hope to ply their trade without the tacit consent of mediating bodies, opinion leaders, associations and that of employees themselves. A sort of ‘social license to operate’ so to speak, which it is now appropriate to secure via the more traditional avenue of legal and administrative permissions, by foregrounding the economic and social momentum enjoyed by portfolio companies—and perhaps in their respective employment areas. Such is precisely the role of branding strategies: to render disparate, even at times contradictory, messages into an intelligible and coherent narrative, while emphasising what makes them unique and responding to the specificities of each of their audiences. But once again, none of this is really new. Best practices have long been forged in the most vulnerable economic sectors. Private equity firms are already aware of this, since brand reputation is clearly one of the major drivers of value creation available to them to support their portfolio companies. Existing practices simply need to be reinterpreted with regard to the specific issues surrounding private capital—further proof that it is becoming an economic sector like any other.